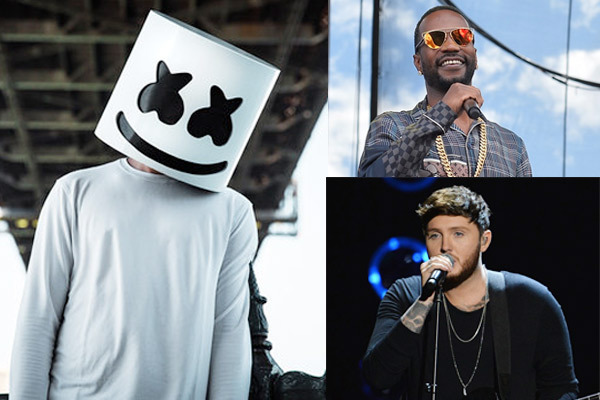 MUMBAI : Music lovers can now sing along with their hands to electronic dance music producer and DJ Marshmello, rapper Juicy J and singer James Arthurs song You can cry. Starring model Nyeisha Prince, who in the entire video, uses sign language to interpret the lyrics. MUMBAI: American electronic music producer and DJ Marshmello is gearing up to thrill the audience at Vh1 Supersonic 2019 this weekend. He says India is special to him. MUMBAI: American DJ-producer Marshmello will take the stage at the Vh1 Supersonic Arcade in Hyderabad and Gurugram next month before he performs at the Vh1 Supersonic music festival next month. MUMBAI: Grammy nominated singer-songwriter Khalid says music has no language and it is universal.